The SG newsletter, Volume 2. 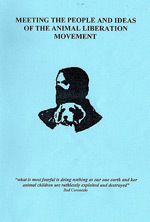 After the original Animal Liberation Front Supporters Group newsletter was repressed out of existence, an attempt was made at a second volume that could survive government harassment. Steps were taken to clear each article with attorneys and the majority of the content was reposted from mainstream news articles. 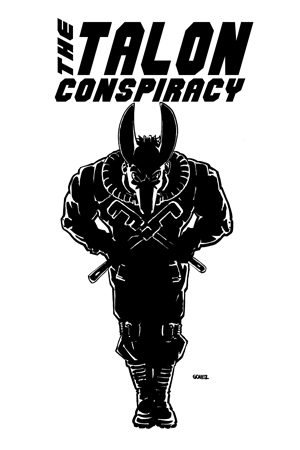 Calls to action were kept out of editorials written by the SG (Although they still appeared in the many first hand accounts and communications sent from those underground) and, in general, the tone was far less militaristic than the final issues of Volume 1. Sadly, this didn’t save the SG’s volunteers from further political prosecutions. 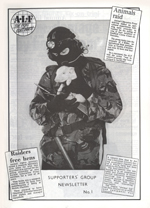 During this time British security services estimated that up to four hundred direct actions were happening every day in the United Kingdom, with more financial damage being incurred by animal abusers than the British government faced at the hands of the IRA in Northern Ireland. The state was not willing to risk these actions spreading no matter how legal the efforts of those publicising them. So, after a single, wonderful issue, the SG newsletter was once again put out of business. At least they went down fighting! This newsletter features inspiring reports, hilariously snarky editorials, and some of our favorite images from the frontlines of the fight against speciesism. It is truly a must read, and we are proud that, despite the efforts of Scotland Yard and other British law enforcement, The SG is still available here at TALON.